If you belong to 24-Hour Fitness, L.A. Fitness, or any other health-club chain, you will enjoy training with me a couple of times a week (or whatever frequency suits your needs and budget) in a less-crowded, fully equipped facility. With no waiting to use equipment and no "working in" with others, you'll derive maximum benefit from each session and then return to your regular health club with renewed vigor. You logged on to this website because you have an interest in health and fitness, so now it’s time to take the next step by enlisting my help towards reaching your goals. 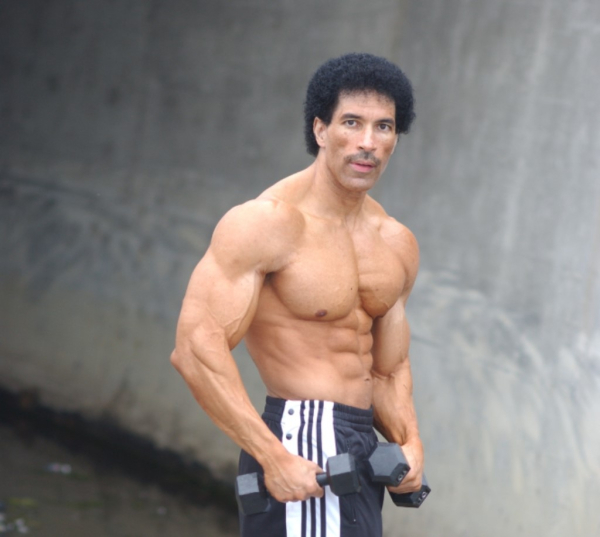 I am a lifelong fitness devotee and a competitive natural bodybuilder who can translate your desires into results. Let’s get started today because time waits for no one and every day of your life is precious! There is nothing I would rather do than work out, so personal training is truly a labor of love for me. My enthusiasm about working out is infectious, and it can’t help but rub off on you. Beyond helping you enjoy your training sessions, I’m going to coach you every repetition of each set of exercises as we work as one to achieve your fitness goals. Furthermore, I’ll constantly monitor your progress and vary your workouts to improve results, maintain a high level of motivation, and minimize discomfort. There is, however, one thing that will never change: I will create and lead you through customized workouts; no off-the-shelf, cookie-cutter routine is good enough for my clients! I'm proud to serve as the personal trainer for "The Adventure Guy," John Rost, who has climbed Mt. Everest as well as the Seven Summits (the highest mountain on each of the seven continents). 36th American and 96th individual worldwide to climb the Seven Summits. The Mt. 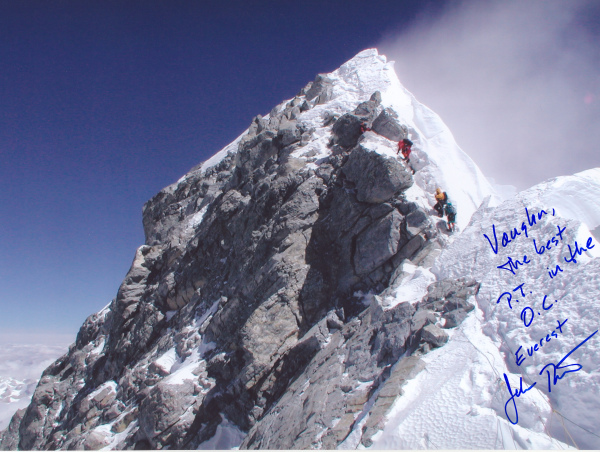 Everest photo at right, taken by John Rost at an elevation of 28,700 feet, has appeared in numerous publications.